Incredibly beautiful and moving! Thank you for sharing. Thank you, for such kind words. I stepped away from reading blogs for awhile. It’s so nice to see my favorite artist creating incredible artwork. I thought I hadn’t seen you on the blogosphere for quite a while. I’ve missed you, too. So good to hear from you! Exquisite in thought & in watercolors. You always have such marvellous things to say – I mean in the sense of insightful and sensitive. I wasn’t at all sure whether this would be understandable to people who don’t have a strong connection with animals, but from what you say I think it must make sense! I’m sorry you had a negative horse experience aged 17 but very happy that was offset by such a good one so many years later. They are very special creatures. But actually, riding them is only a part of the relationship. A lot of it goes on without ever climbing on board! Thanks ever so for joining the conversation! 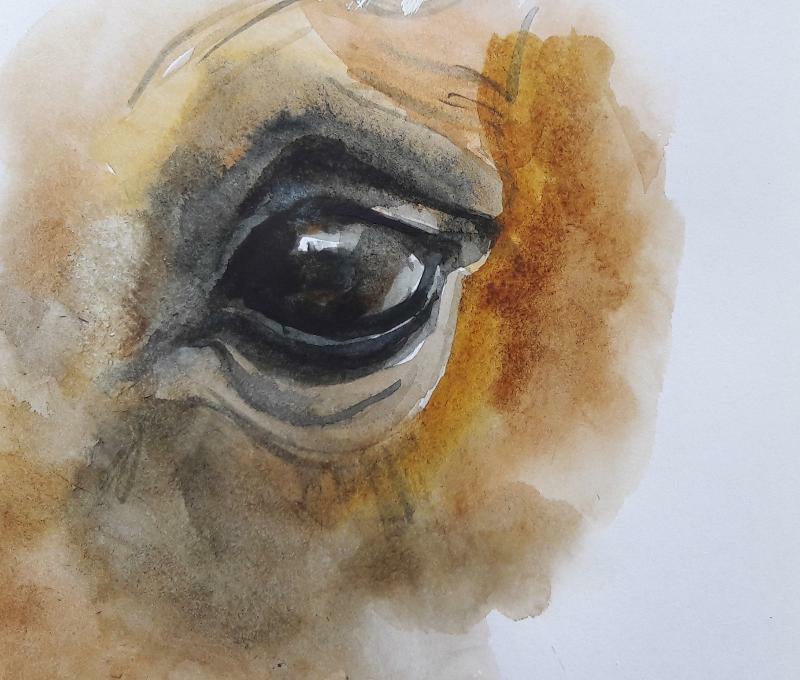 This is such a beautiful and moving post: I love the idea of an ‘inner horse’! I checked it out – yes, it’s very clear, and she has great advice that’s applicable in many areas. THanks! Beautiful post, and beautiful watercolors. I haven’t spent a lot of time around horses, but I love this idea of you (and all the rest of us) having an inner, invisible horse. The trick is, how do we see them in each other? Funny timing to read this–yesterday, rainy afternoon, I went by myself–because I couldn’t talk anyone into going with me—to see a new documentary about minister and children’s TV host Fred Rogers–Won’t You Be My Neighbor. May be that he was a man who let his inner horse show a bit more than the rest of us. And for a few minutes, it rubbed off on me. When I left the theater to do errands in busy shopping plaza, I saw people–how they moved, how they responded to each other–differently. It was as if a spotlight shined on each person, but they were totally unaware of it and therefore totally not self-conscious. It was an amazing, revealing few minutes. Frustrating, as I felt it ebb away. Reading your post this morning, with this sensation fresh in my mind connects these two things–much to ponder, as always with your writing. Be well, invisible horse. Oh, what a wonderful experience! You describe it so well (please, might it become a poem? If you were to let it?) But as you say, frustrating as you felt it ebb away. This is the big problem for me, that I can’t sustain it. 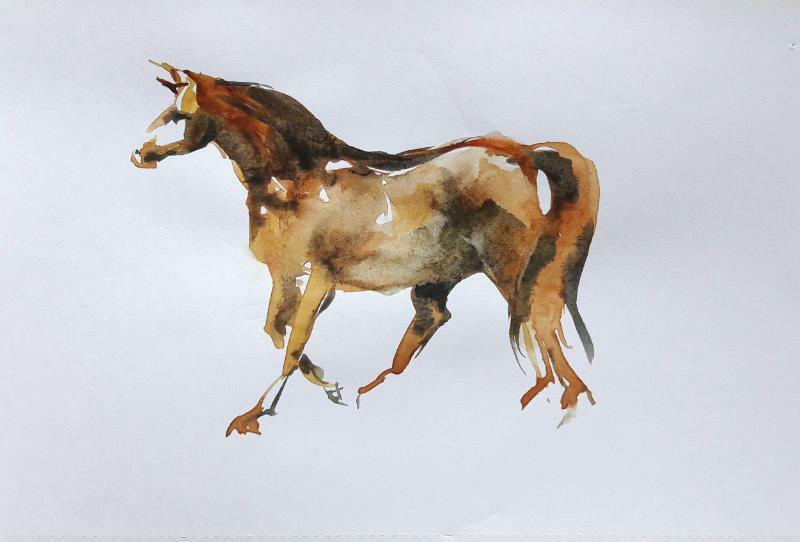 But then again, because I can’t, when I do remember to turn lovingly and thoughtfully (and apologetically) to my inner horse to ask how things are and get an immediate and grateful answer – it fills me with delight. So lovely to hear from you. And as always, what a feeling of connection. May you be well, too!